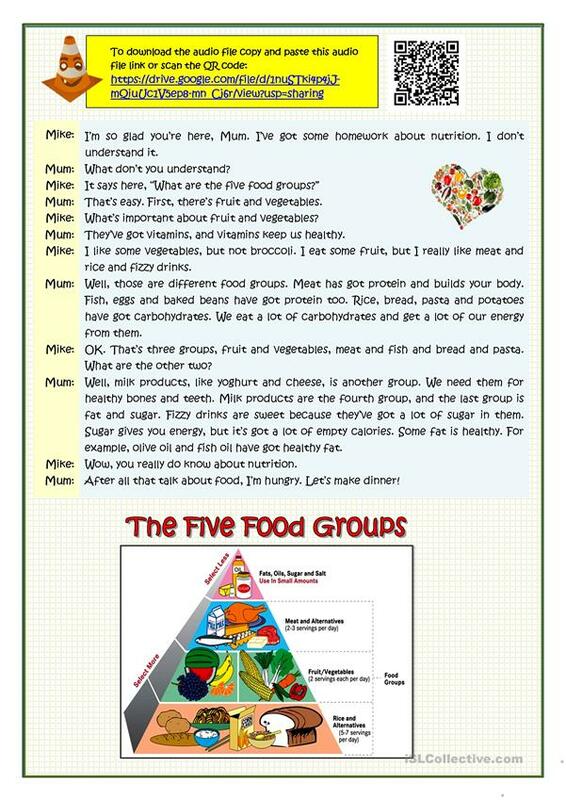 Students listen to a conversation about the food groups and what types of food we must have to keep our body healthy. Script, keys and audio file link provided. 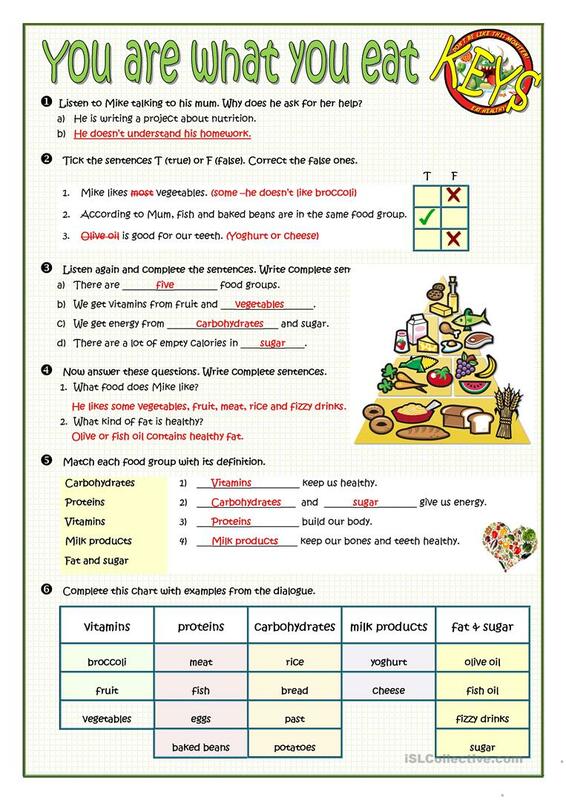 The above downloadable handout is best suited for high school students and adults at Pre-intermediate (A2) level. 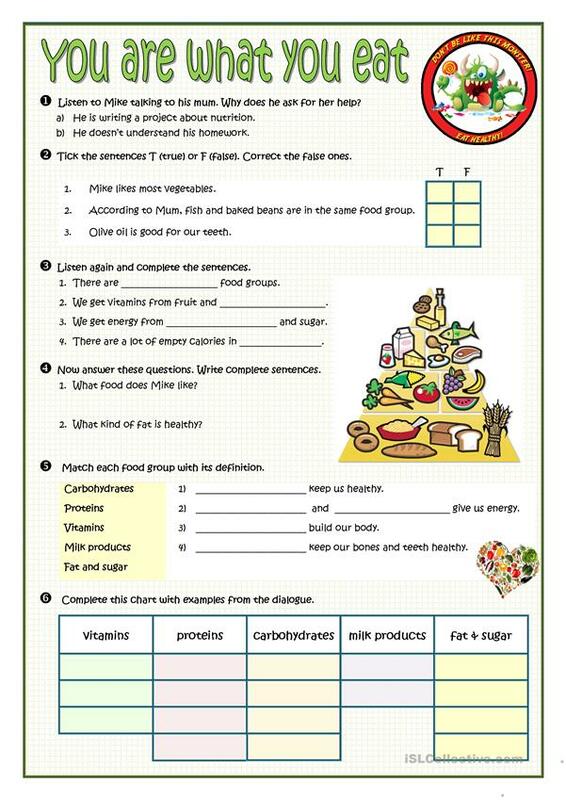 It is a useful material for practising Nouns in English, and is excellent for honing your learners' Listening skills. It is about the vocabulary topic of Food. There is an answer key provided with the exercises.